A clever colander, brilliant baking pans, a great grater, and more necessities every kitchen (and amateur chef) should have. What have you been doing without these all this time? 1. 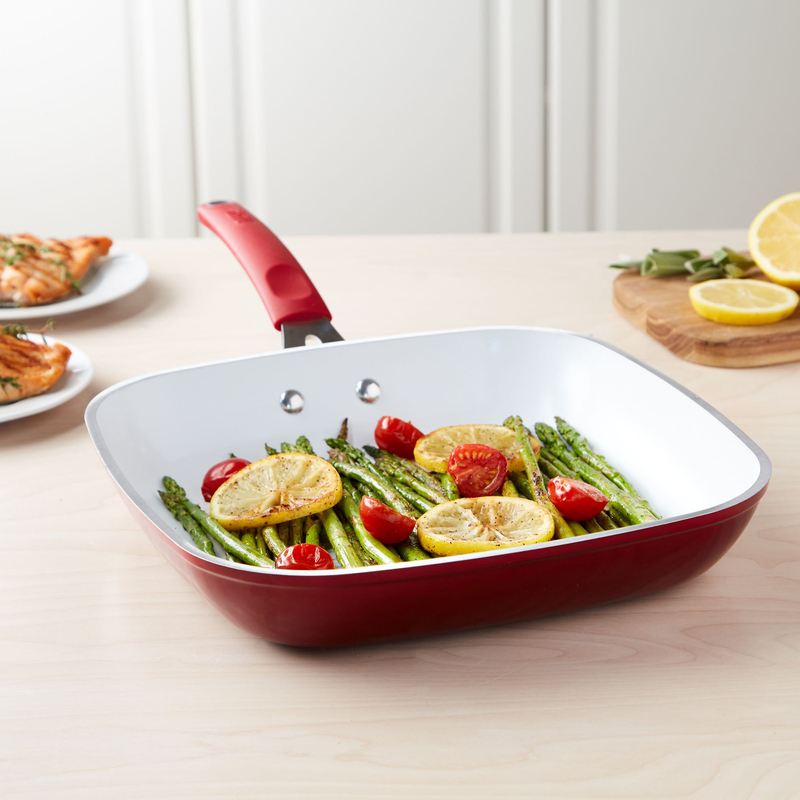 A great grill pan, because you don't need a whole big outdoor grill to enjoy delish grilled veggies, fish, and meat. This one is huge — it's an 11 inch by 11 inch square — so even cooking for a bunch of guests is a breeze. And if you're looking for something that'll last you a lifetime, you can find our pick for the best cast iron skillet in three different price points on BuzzFeed Reviews. Get it from the Tasty collection at Walmart for $24.88. 2. A deep cooker that's part pan, part pot, and just the right depth to let whatever you're cooking soak up tons of flavor. 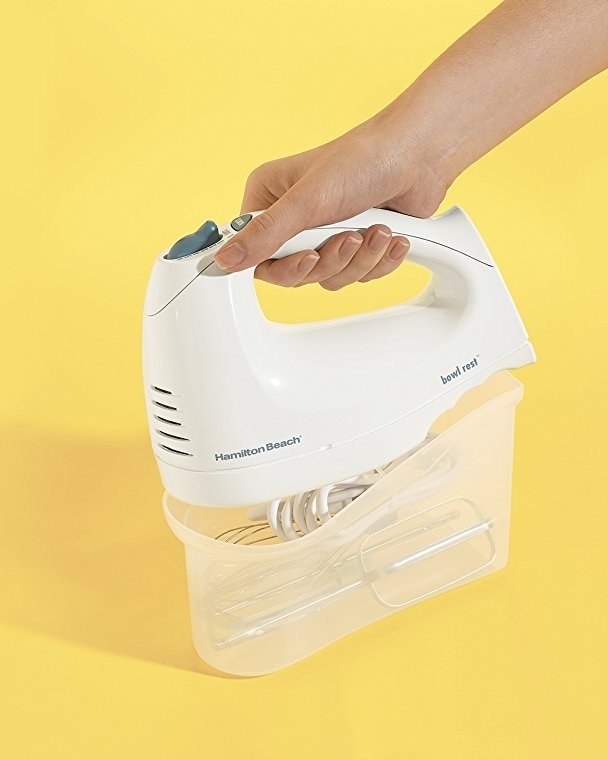 This one can hold up to four quarts and has a useful additional handle to help even the clumsiest of cooks. Unfortunately, it doesn't come with those meatballs in the picture. Get it from the Tasty collection at Walmart for $27.88 (available in two colors). 3. A lovely loaf pan so you'll stop loafing around and get started on all those fabulous dessert recipes you've been eyeing on Pinterest. We all know that the worst part of cooking is handwashing pots and pans afterwards, but this guy is dishwasher-safe! Get a set of two from the Tasty collection at Walmart for $12.67. 4. A citrus juicer so that when life gives you lemons, you can make lemonade (and salad dressing, and marinades, and lemon tarts...). This one is even more useful than a hand press juicer, because it doubles as a receptacle to collect the juice so you can store and save it for later, or use the spout for immediate usage. Plus, it's dishwasher-safe and the lid makes it easier to store and ensures it won't stab you every time you reach into your drawer. 5. A multipurpose stainless steel grater you should purchase for the grater good of your kitchen. And not in an evil, Grindelwald sort of way. You can use this for way more than just cheese — it's perfect for everything from chocolate to butter to veggies to potatoes. Hash browns, anyone? Get it from the Tasty collection at Walmart for $8.97 (available in four colors). 6. 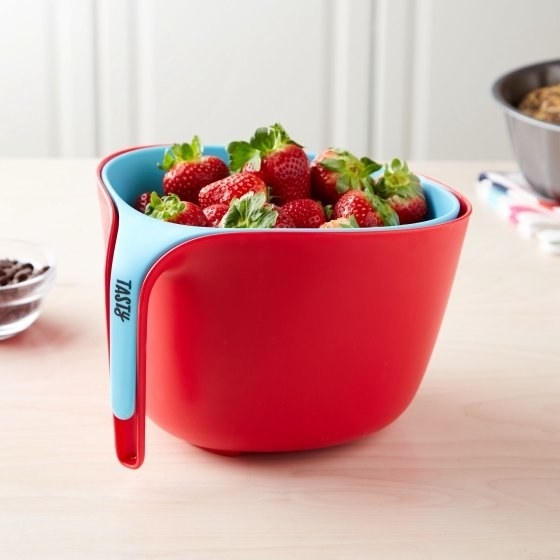 An efficient salad spinner because soggy produce is just gross, tbh. 7. A spring form pan designed to make serving desserts a piece of cake. The sides are removable, so you don't have have to worry about your creation falling apart as you try to get it out of the pan and onto a dish. As if that weren't convenient enough, this one also has a nonstick coating and is dishwasher-safe. Get a set of two from the Tasty collection at Walmart for $15.31. 8. A trusty pizza cutter that costs even less than your favorite delivery place. It features a built-in guard so your fingers don't become one of the pizza toppings. Get it from the Tasty collection at Walmart for $5.44. 9. 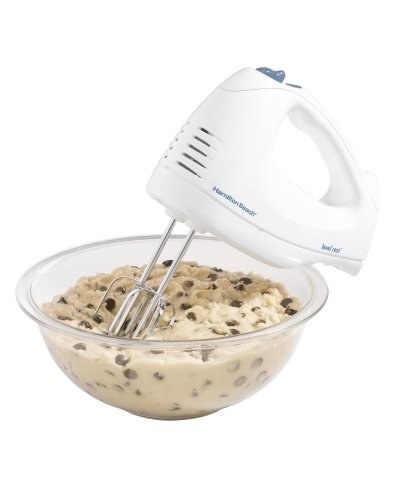 A powerful handheld mixer that'll make baking (and cleanup) a breeze. This one has six speeds and attaches to a bin to become its own storage container! 10. A stainless steel garlic press so you can scare away vampires (and flavorless meals) with ease. Get it from the Tasty collection at Walmart for $7.44 (available in four colors). 11. A three-tier cooling rack to give your food a time-out when it needs to take a minute and cool down. You'll cry tiers of gratitude when this thing for helps you enjoy your delicious creations faster, without burning your tongue (again). Get it from Walmart for $8.87. 12. A meat thermometer that'll give you an accurate reading almost instantly and ensure all your culinary creations are safely cooked all the way through. 13. A flat-bottomed wok to up the frying game you've been bragging to all your friends about. Now you won't just talk the talk, you'll wok the wok. A wok retains more heat than a frying pan, allows you to use less oil, and has super-useful, high sides for folks who are prone to making a mess (me). Plus, the helper handle on this one allows you transport your cooking securely even if you usually drop everything you touch (also me). Get it from the Tasty collection at Walmart for $19.88. 14. A three-piece peeler set to make the thought of prepping veggies a bit more a-peel-ing. The set includes a julienne peeler (for creating superfine slices), a swivel peeler (an easy peeler for all sorts of veggies, which also includes a built-in potato eye remover), and a serrated peeler (great for foods with slippery skins, like tomatoes). Get it from the Tasty collection at Walmart for $7.97. 15. A set of nice cutting boards, cause sometimes slicing things right on the plate just won't cut it. These beautiful bamboo babies can even serve double duty as cheese platters. Get a set of three from Amazon for $11.99. 16. A five-quart Dutch oven for stewing up a storm. This roomy pot is made for simmering soups and sauces and can also be used to slow cook meats. 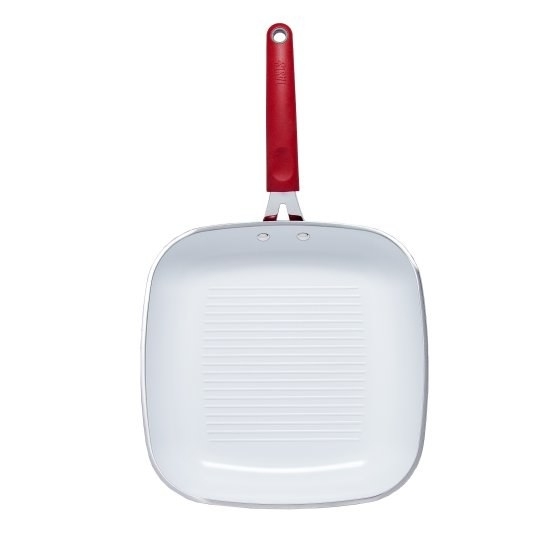 It comes with sturdy glass lid to lock in all the yumminess, has a nonstick coating, and is dishwasher safe. 17. A manual can opener with a built-in bottle opener to open up a whole world of culinary possibilities. 18. A nonstick fluted cake pan because it's not just about taste, it's about presentation. In additional to being pretty, this dishwasher-safe pan is also great for cooking super-moist cakes with proper heat distribution. Get a set of two from the Tasty collection at Walmart for $17.74. 19. 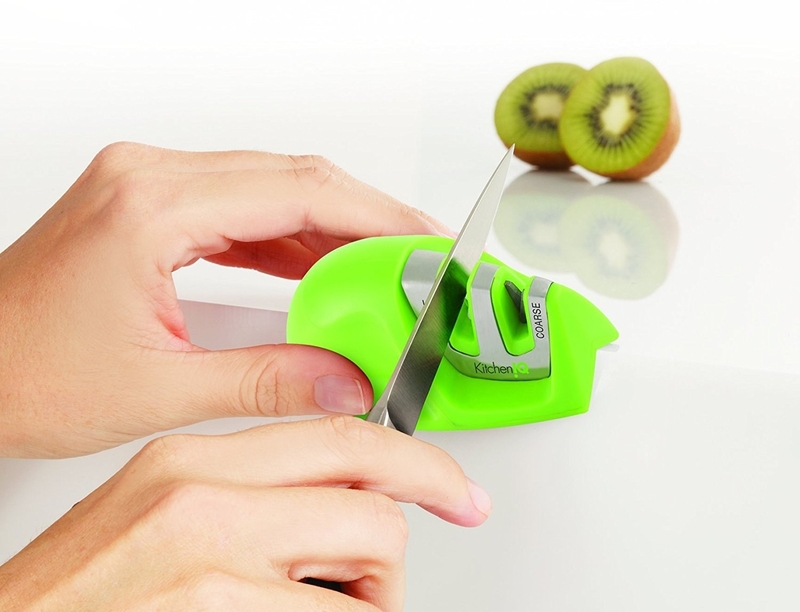 A knife sharpener so there's never a dull moment. This one has two slots: one fine (for polishing and touching up sharp blades) and one coarse (for more intense sharpening). 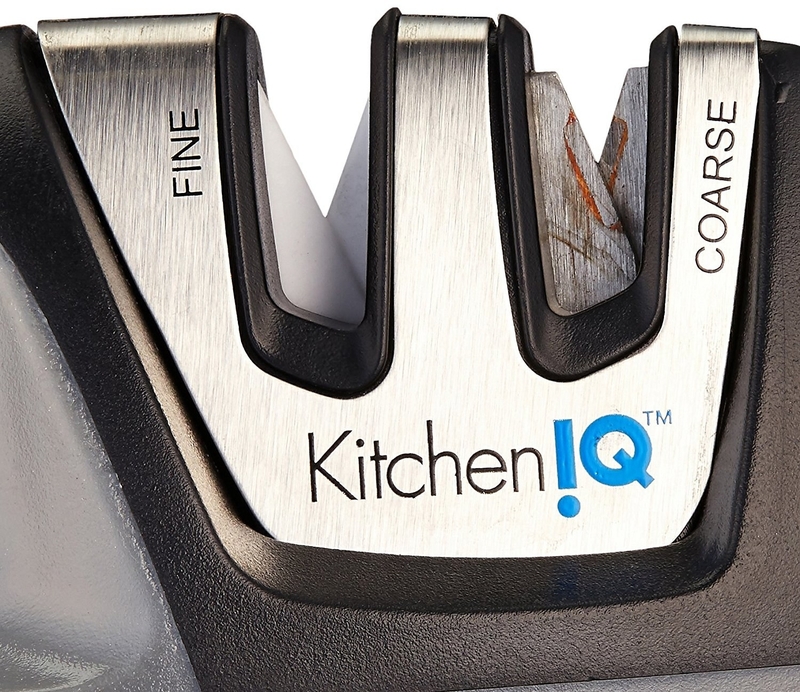 Plus, it's designed so it can easily fit on the edge of the counter, instead of forcing you to sharpen on the flat countertop and risk scratching up all your kitchen surfaces. People swear by it, too — it has over 7,000 positive reviews. Get it from Amazon for $5.40+ (available in three colors). 20. 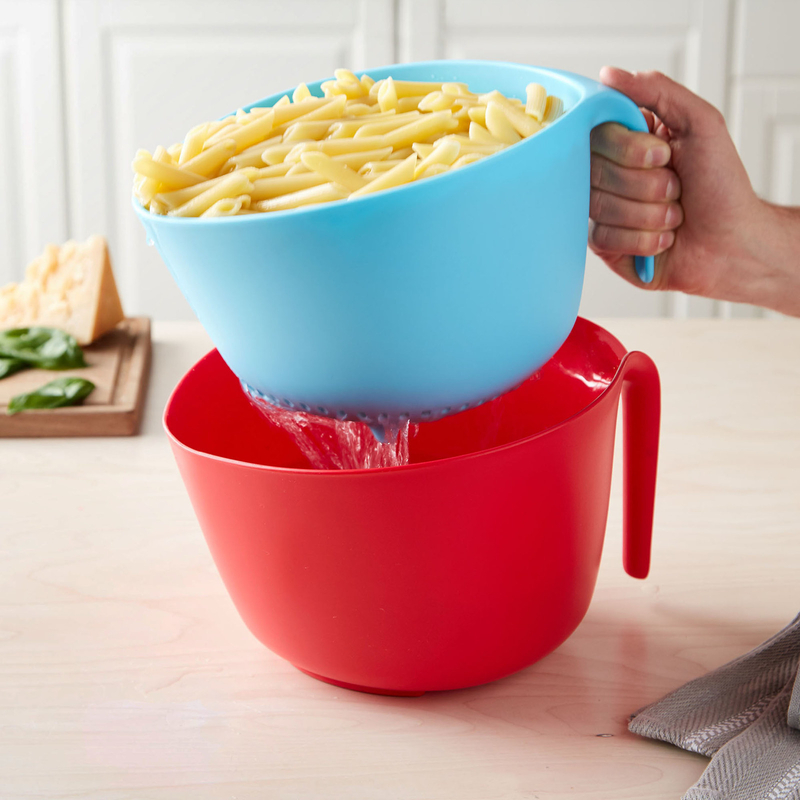 A bright bowl and colander set to make cooking a little less draining. Having the larger bowl underneath not only prevents your sink from turning into a splash zone, but is also ideal if you want to use the oil or juice you're draining for something else later. Get it from the Tasty collection at Walmart for $12.44 (available in two colors). In this case, basic isn't a bad thing — you just straight up need this stuff! If you loved the Tasty products in this post, check out the entire collection of Tasty kitchenware at Walmart here!